As a very busy mom and wife I don't typically have much time to relax and get creative, so when I do I want to sit back, relax, and let the creativity flow. Some of the best ideas that I have come up with for the blog have been while I was relaxing on my couch notebook in hand, with a candle lit, sipping a cup of tea. It gives me the time to brainstorm ideas, write all of them down, and decide which one I want to write a post about! Another way that I love to be creative is through grown-up coloring books. As a child I loved to color. I found it incredibly relaxing and loved adding the colors to the pictures to make them come to life. As soon as I picked up the new Glade® Blue Odyssey™ Large Candle from Walmart, I could not wait to have time to myself that night to write and have this candle near me. The seamless blend of water, air, and earth together create a fresh and invigorated scent that is perfect to encourage creativity. The notes of bright blooms, sweet peach, touches of amber, musk, and woods combined to create a perfect blend of scents. You can buy the new Blue Odyssey™ Candle first at Walmart! It is also a larger size that burns for up to 60 hours! 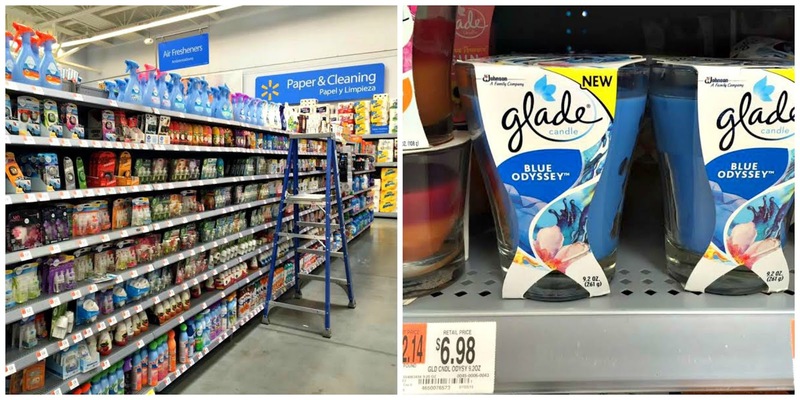 I loved that when I visited my local Walmart it was easy to find in the air freshener aisle and easy to spot the Glade® candles! This bright blue candle stood out on the shelf and I was really impressed with the low price point for such a large sized candle! There is also a great deal going on when you buy 2 large Glade® candles at Walmart! You receive a $5 virtual gift card! Learn more about that deal HERE! I knew as soon as I picked up my two Glade® Blue Odyssey™ candle at Walmart that I needed to give my second candle to a friend. 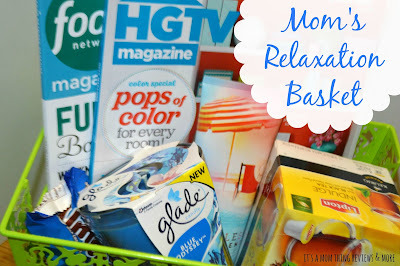 That is when the idea of a mom's relaxation basket came to mind! With children heading back to school moms are readjusting to busier schedules meaning that they have less time to themselves to relax. This is the perfect way to encourage moms to relax, unwind, and enjoy the little bit of time they get to do something that they enjoy. This basket is the perfect gift for a mom friend at the beginning of a school year. Along with the Glade® Blue Odyssey™ candle I also included two magazines, some chocolate, tea k-cups, and lotion. All items that I know are perfect for a mom friend to evoke creativity and relaxation! I just know that she is going to love it! What are some ways that you enjoy relaxing and getting creative? Leave an answer in the comments! Glade candles are my absolute favorite for my home! One candle in the kitchen can me smelled across the whole house after just burning for an hour! The wicks light easily and they have a long duration! I can't wait to check out this scent! I was at Wal-Mart last night and stuck my nose in a few!! I love Glade candles. I have a few myself in my bedroom, and I really love how much of a throw they have. Plus the prices are great!